PPP’s newest poll on the Massachusetts Senate race finds it dead even, with Elizabeth Warren and Scott Brown both at 46%. Warren’s now been at that exact same 46% mark in three PPP polls in a row dating back to last September. Brown’s increased his support from levels of 41% and 44% on those previous two polls. Brown’s numbers have experienced a bit of a resurgence in the last few months. His approval rating is back over 50%, with 51% of voters approving of him to 38% who disapprove. He had been at 45/42 and 44/45 on PPP’s last two polls. Brown’s approval with independents who have an opinion about him is now better than 2:1 at 60/29. And he’s reclaiming some of his crossover support from Democrats with 30% approving of him, up from 23% in March. Warren’s popular too with 47% of voters rating her favorably to 38% with a negative opinion. Political races where voters like both candidates have been few and far between in recent election cycles. Warren was at 46/33 in March so her negatives have climbed a little bit since then, but it could be a lot worse given the press coverage she’s received since that time. Brown has been playing to racial resentment among blue collar white voters, assailing Warren for gaining an unfair advantage in employment by allegedly citing her distant Native American heritage. But the Democrat seems to have largely weathered the storm, promising a tight race going forward. 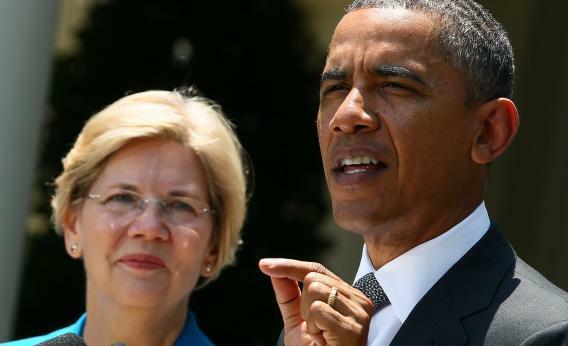 The longer this race remains close, the more likely a late campaign trail boost by Barack Obama could push Warren over the top. After all, the president is sure to cruise to an easy victory in the state – and Brown will need remarkable levels of crossover support at a time when the electorate is polarized sharply along party lines.